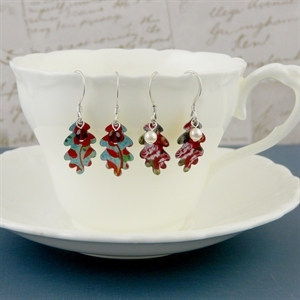 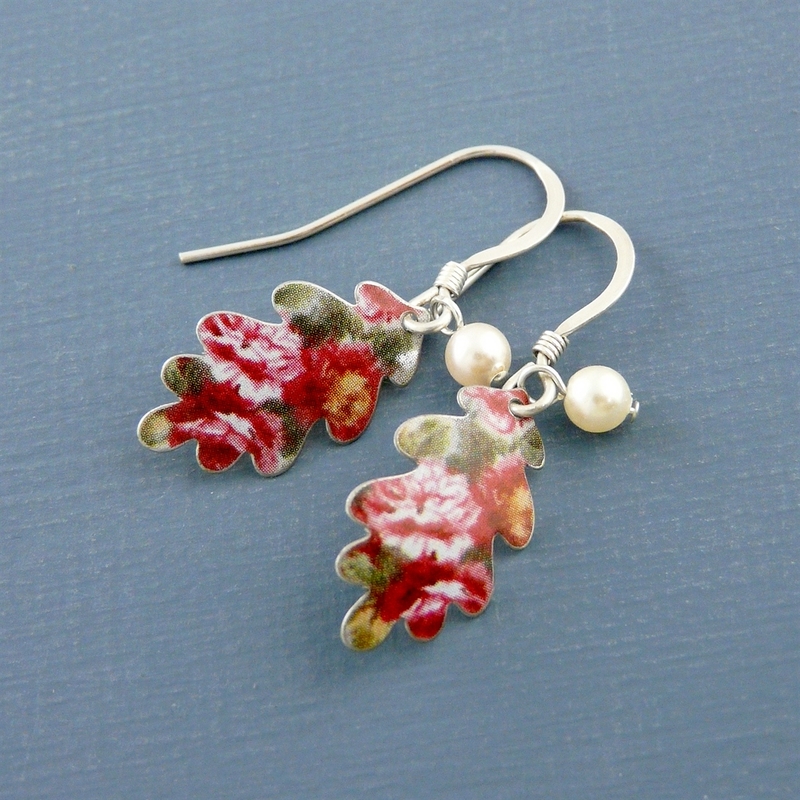 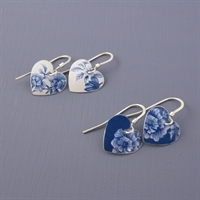 These pretty oak leaf earrings are made from our printed tin and finished with a Swarovski acorn detail. 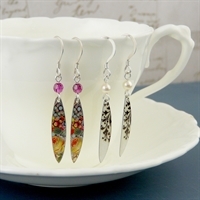 Available in bright colourway (with Swarovski crystal detail) or a muted colourway (with Swarovski pearl detail). 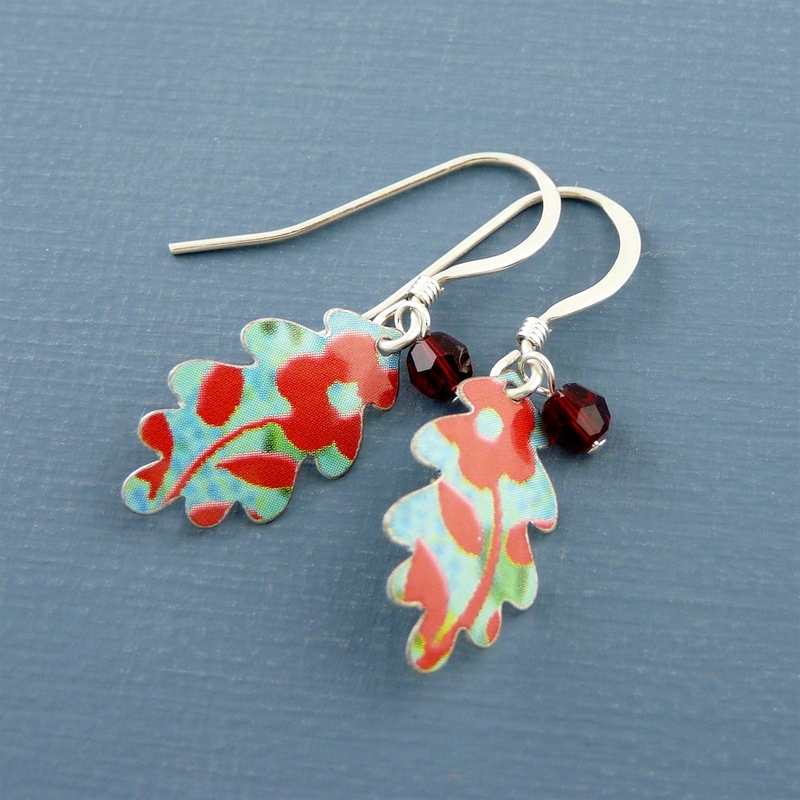 Oak leaves supplied on short sterling silver earwires. Please note that your jewellery will be made to match as closely as possible this photograph, but as all our jewellery is handmade and from recycled tins please allow for slight variations in design. 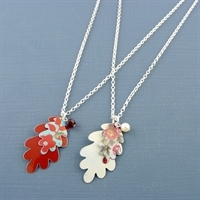 An oak leaf necklace handmade from our collection of biscuit, sweet and toffee tins.